Bastar district is located in the southern part of the state of Chhatisgarh. Bastar was one of the largest districts in India, before it was split into three smaller districts. It covered an area of 39114 square kilometers which was even bigger than a few countries like Belgium and Israel. It is a tribal district with more than 75% of the area covered by natural forests. 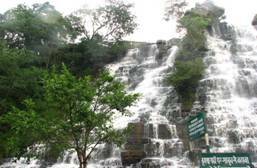 Bastar has around 7112 square kilometers of forest cover and is the home to tribals like Gonds, Abhuj Maria, Bison Horn Maria, Darda Maria, Munia Doria, Bhatra, Halba etc. 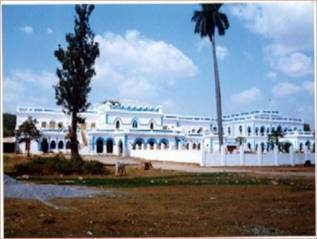 Jagdalpur is the district headquarter of Bastar district, which is situated on a plateau at an altitude of 2000 feet above sea level. Jagdalpur is around 300 kms from Raipur,which is the capital of the state of Chhatisgarh. Bastar district is located south of Kanker district, and north of Dantewada district. The eastern and western borders of this district are shared with Odisha and North Maharashtra. The largest river flowing through this district is Indravati. It appears that Bastar was initially formed in the 11th century by the kingdom of Nagavanshi family. 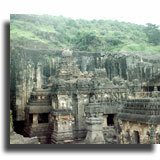 The kingdom was known as Chakrakot, with its capital at Barsur. Subsequently, the kingdom formed part of the Warangal kingdom of the Kakatiya dynasty. The rulers of Bastar claim to be decendents of King Pandu. Annam Deo, who was the brother of the kakatiya king Pratap Rudra, moved to Bastar and established his kingdom. Later it was ruled by Rajpal Deo. Subsequently the pricely state became part of the central provinces and bearer under the British raj in the 18th century. It was acceded into the Union of India on 1st Januray 1948, and became a part of Madhya Pradesh in 1956. Dussera is the most popular festival celebrated in Bastar. This festival is dedicated to Godess Dhanteshwari, unlike the Dussera in other parts of India. During this festival, all the deities from the neighbouring villages congregate at the Dhanteshwari temple in Jagdalpur. Madai Festival is another popular festival celebrated by the Gond tribes of Bastar. During the festival, the devotees gather under a sacred tree and sacrifice goats to the Godess and celebrate all through the night. Nava Khana is a harvest festival, which signifies eating of the new crop. Haryali and Chertha festivals are some of the other agricultural festivals. Kajari festival is another popular festival, which is celebrated on "Shravan Purnima", which coincides with Raksha Bhandan festival. 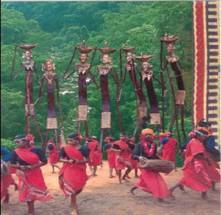 Bastar Lokotsav, is a festival to exhibit the different tribal cultures. During this festival, the singing and dancing talents of the tribals are displayed. People from neighbouring districts also take part in this festival. The most important monument is the Bastar Palace also known as the Jagdalpur palace. It is one of the monuments which signifies the history of Bastar. The Bastar Palace in Bastar is an extensive and impressive fort that glitters in the sun. It is a wonderful sight to look at the palace of Bastar. It was built at the time of the shifting of the capital to Jagdaplur from Barsur where it was situated earlier. DhateshwariTemple - This temple is located in Jagdalpur, and was built by the Chalukya kings in the 14th century. This temple is considered as one of the Shakthi Peetas dedicated to the mother Goddess. Sri Venkateshwara Swamy Temple - This is a temple located in Jagdalpur and is dedicated to Lord Venkateshwara, who is the ruling deity of Tirumala in Andhra Pradesh. Chandiya memorial Methodist Church: This church, located in Jagdalpur was built in the year 1933 by Rev.Chandiya. This is located on the kholaba river is home to a variety of flora and fauna. This was declared as a National Park in the year 1982 and is an ideal place for wildlife enthusiasts and naturalists as it is located 27 Kms away from Jagdalpur. Bears, Tigers, Panthers, and deer are commonly seen here. This is named after the river Indravati which flows through the sanctuary. Animals found here include wild buffaloes, tigers, panthers, deer, and other small animals like the flying squirrel etc. 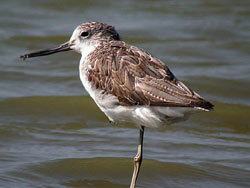 Bairamgarh Wildlife Sanctuary has a lot of grasslands and is famous for deer. Chital or the spotted deer is an often sighted game. Bhainsa Darha is a lake into which the Kanger river flows. This is large lake formed in the middle of thick bamboo forests and covers and area of 4 hectares. Crocodiles and turtles inhabit this lake. It is 63 kms from Jagdalpur. This is a major tourist attraction located about 50 kms from Jagdalpur. This waterfall can be compared to a smaller version of the Niagara falls in the United States of America because of the cresent shape. The waters of river Indravati falling down the Vindhya mountains forms these waterfalls. 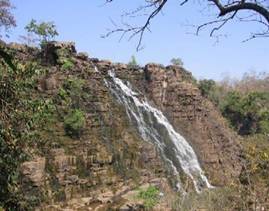 Thiratgarh Waterfalls is a 50 meter waterfall and presents a panoramic view to the eyes. This is located about 32 kms from Jagdalpur. There is also an ancient Shiva - Parvati temple here. This is known to be the second longest natural cave in the world. This is nearly 330 meters in length and there is no sunlight in the cave. At the end of the cave there is a stlagmite formation of a Shiva linga which is revered by the tribals and travellers. This cave was discovered in the year 1900. 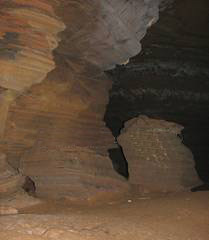 This cave is located around 32 kms from Jagdalpur. Kailash Cave is situated 40 meters above the ground level and it is 200 meters long. It is named so because of the natural carving of the idol of lord Shiva. This cave is located in the Kanger Valley National park. Solar powered lamps light up the entire cave. 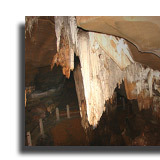 Dandak Cave is also a popular tourist attraction. This cave is also 200 meters long. The Rainbow Hotel is the most popular hotels in Jagdalpur. It has 28 rooms with all amenities and is centrally located. This resort is situated about 6 kms from Jagdalpur. It is located in the middle of mango groves and has a lot of greenery. 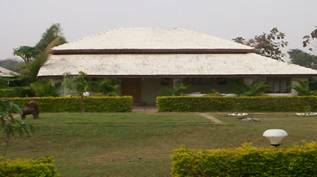 Bastar Royal farm is a resort run by the Royal Kanker family. This resort has 3 mud cottages, where wood and iron have not been used for the construction. There are many budget hotels around the central bus stand. Akansha Hotel, Poonam Lodge, Anand Lodge, Athithi Hotel and Hotel Gaurav are a few of them. They are quite economical. There are many small restaurants in Jagdalpur. But for a good vegetarian meal, Rainbow Hotel is the best choice. Beer and wine are served along with non vegetarian dishes at the Naman Bastar restaurant. Bastar is known for the handicrafts made by the different tribals. They make a lot of articles with bamboo, bell metal, wood, terracotta etc. Shopping can be very interesting in Bastar. Road is the easiest way to get to Jagdalpur. It is well connected by NH 215, NH 202, NH 16 and NH 202. The road conditions are bad and it is safer to use a MUV or SUV. There are many sleeper non a/c buses to Raipur. Jagdalpur is connected by train from Vishakapatanam. It is not connected by air. The closest airport is Raipur, which is 300kms from Jagdalpur.